View of the Gordon Creek Unit 1 well site, currently producing methane gas from the Ferron Sandstone. The well, which was originally drilled and cased much deeper, will be used for the demonstration to inject CO2 into the deeper Navajo Sandstone. 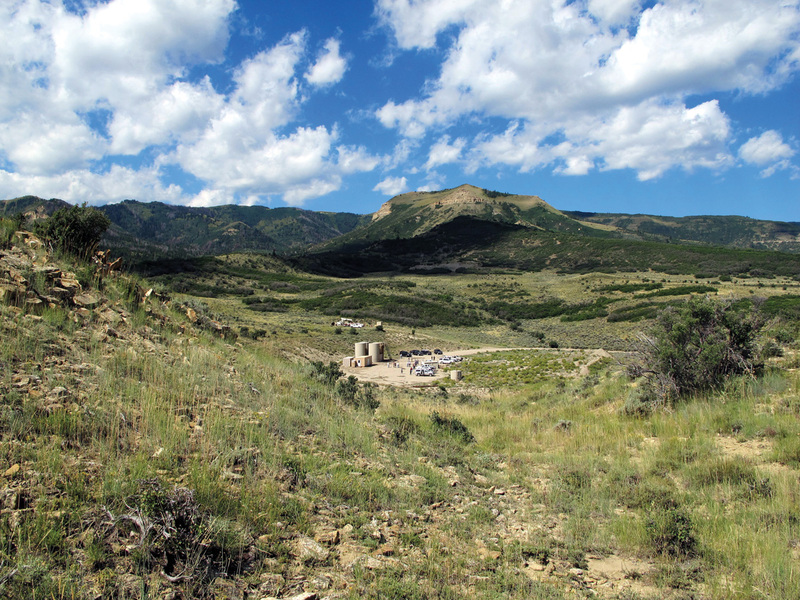 Over the next decade, Gordon Creek gas field in central Utah will be the site of a significant demonstration of technologies for the potential commercialization of carbon dioxide storage in deep, saline (brine-filled) reservoirs. The demonstration, which is attracting international attention, will be conducted by the Southwest Partnership for Carbon Sequestration (SWP), one of seven government/industry partnerships managed by the U.S. Department of Energy’s National Energy Technology Laboratory (NETL). The principal investigators for the SWP are the New Mexico Institute of Mining & Technology and the University of Utah; the Utah Geological Survey is a partner. Recent climate change is attributed to carbon dioxide (CO2), the most common greenhouse gas. The U.S. emits over 6 billion tons of CO2 each year primarily due to the combustion of fossil fuels; 40 percent of this is for the generation of electricity. Utah, a major coal-producing state, depends on several coal-fired power plants within the state for over 80 percent of its electricity. Demonstrating the ability to safely store CO2 deep underground may lead to development of commercial capture and long-term storage of greenhouse gases from large industrial plants, greatly reducing the volume of anthropogenic CO2 released into the atmosphere. Fortunately, Utah’s geology provides abundant potential for long-term storage of CO2 in deep, saline reservoirs and depleted to nearly depleted oil and gas fields. The SWP has successfully demonstrated smaller-scale methods of storing CO2 elsewhere in the southwestern United States. Two demonstrations were conducted in New Mexico’s San Juan Basin. CO2 was injected into coalbeds demonstrating the potential for long-term storage and enhancing the recovery of coalbed methane. Water produced by the enhanced coalbed methane process was desalinated and used to irrigate grasslands and increase terrestrial sequestration (natural absorption of CO2 by plants). CO2 has also been injected into producing fields to enhance oil recovery. The SWP demonstrated CO2 storage with enhanced oil recovery at SACROC oil field near Snyder, Texas, and Greater Aneth field near Montezuma Creek, Utah, on the Navajo Nation. Gordon Creek field produces natural gas from the Cretaceous Ferron Sandstone about 3300 feet below the surface.Gordon Creek LLC, a wholly-owned subsidiary of Thunderbird Energy Corporation, is the field operator/owner and a member of the SWP. Gordon Creek LLC will drill a 12,000-foot production well to produce CO2 from the Permian White Rim Sandstone for the commercial-scale demonstration. CO2 from the production well will be transported by pipeline to an injection well where the gas will be compressed into a high-density liquid and injected down an existing cased well into the Jurassic Navajo Sandstone reservoir, a saline aquifer about 8500 feet below the surface. A third well will be used to help monitor the pressure and gas saturation in the deep formation; seismic data will be used to monitor the growth and distribution of the resulting CO2 plume. A maximum of 1 million tons of CO2 per year will be injected for up to four years, followed by several years of monitoring. The UGS has been a member of the SWP since its inception in 2003. In an earlier project, we identified and characterized naturally occurring CO2 deposits throughout Utah to better understand the seal and reservoir properties needed for a potential storage site. Next, we characterized reservoirs throughout the state, identifying saline aquifers having CO2 storage potential as well as several specific sites for possible commercial development for the NETL Carbon Sequestration Atlas of the U.S. We were also a major contributor to the reservoir characterization for the CO2-enhanced oil recovery project at Greater Aneth field. 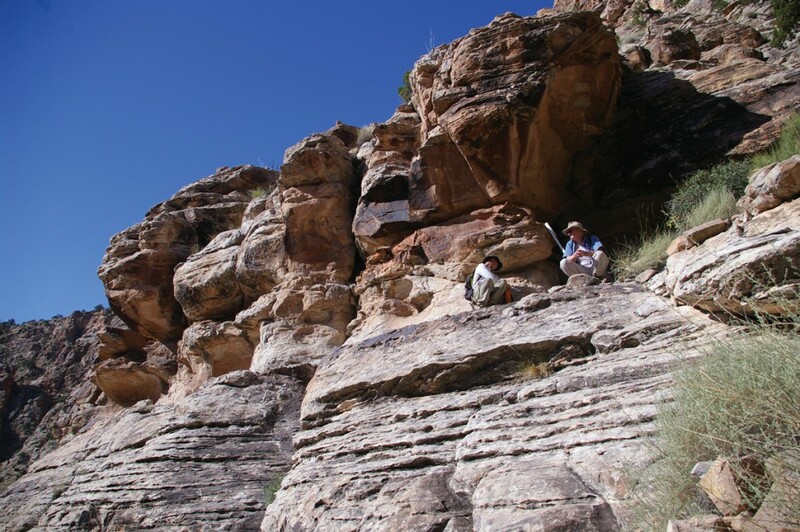 For the current study, we will be leading the geologic characterization of the Navajo and White Rim Sandstone reservoirs and overlying seal formations at Gordon Creek field and throughout Carbon and Emery Counties. The Gordon Creek demonstration will be watched closely throughout the world by scientists and policy makers involved in climate issues. A successful commercial-scale demonstration at Gordon Creek field could provide long-term benefit to Utah’s coal and power generation industries and possibly lead to the development of a new carbon sequestration industry in Utah. A full list of the SWP partners and additional information about SWP activities can be found at http://southwestcarbonpartnership.org. Northwest Utah – Could it be Utah’s Newest Energy Hotspot? What is a Metamorphic Core Complex? Glad You Asked: Is There Coral in Great Salt Lake?